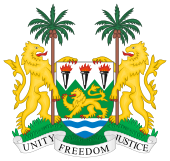 A constitutional referendum was held in Sierra Leone on 12 July 1978. The changes were aimed at turning the country into a presidential one-party state, with the All People's Congress as the sole legal party. The new constitution had been adopted by parliament in May, and was put to public approval in the referendum. Passed with more than 97% support, the referendum has been described as "heavily rigged". Following the referendum, President Siaka Stevens was sworn in for another seven-year term. In the next presidential election, voters had the choice of supporting or opposing his successor, Joseph Saidu Momoh (as no opposition candidates were allowed). The 15 Sierra Leone People's Party MPs elected in 1977 joined the APC. A referendum in 1991 repealed the 1978 constitution, and returned the country to multi-party politics.